To give your living area a complete look you have to go for armchairs. To have your dream comfy armchair the points you have to keep in mind and consider at the time of purchase are, style, size and fabric. When selecting the style of armchair for your living area the theme of your living area and its setup plays a great role. For example if you have an antique style décor of your home and bring in your living area a stylish rocking armchair, this will be a big disaster in your living room. The style must compliment your home décor. Do not forget to consider the size of your armchair. Keep in mind it is a chair not a sofa. Your living must not be looking overly loaded or abruptly filled. It must be giving an elegant look. All you want is an armchair which is comfortable in all matters even in longevity. With its class it also must be usable over years and years. It is not important to follow what is trending but you have to feel comfortable in it with more running time. French style in any medium of life is considered to be the most elegant, luxurious and royal style out of many like, Russian, English and American. It can be said that French style has its own charm, class and elegance. Most of the French style armchairs are seen with a collection of white wooden frame and with side detailing like decorative carving. There is a little bit sparkle of gold thrown in between to give a royal look. Cushions are a must with curvy back maintaining all the standards of a comfortable armchair. 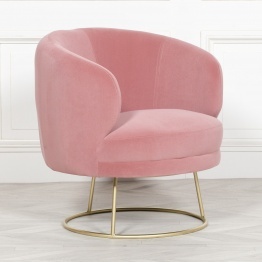 The colors that can be used to give an attractive look to the French style armchairs may be pastel colors like gray, rosy pink, or may be cream tones. Attention to the color combination of the armchair is a must as it may add a chic and fab touch in your living area. 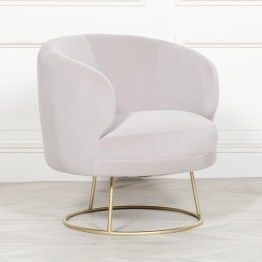 With new designs coming up in the modern days and with the availability of so many options, a French sofa chair is also a good choice amongest them. It is eligible to fit in any style and space of your living area. They are a must option to go for in matters of comfort ability. It is an armchair style sofa chair which is made out of wooden frame, but the seats, the back, and armrests are padded with foam. As a protector removable sheet may be spread over the French sofa chair to avoid any spot on the chair. 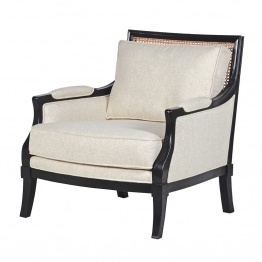 Sofa chair should be beautiful and intend to give an elegant French look. The best thing about a sofa chair is its size. The person who is sitting has enough space to take any comfortable and relaxed position he wants. You may sit on it, watch tea, read a book, call a friend or may rest for a few minutes after a busy day. It assures relaxation. - you can find it all in our Armchairs range! If you are looking for Linen Armchair, look no further as we have a good range of options for all budgets. With our linen armchair, you will certainly feel like to sink into, never leave and of course, never share. If you want to have all that calorie-free and feathery goodness, and squishy comfy stuff, just indulge in your own linen armchair today. French Armchair A French Armchair has certainly its own style and charm. Well, this statement is unquestionable. Individuals have distinctive tastes. We have the solutions for every requirement and the most demanding clients would get something for them too. You do not have to hurry in making your selection. Browse our range and see the possibilities.